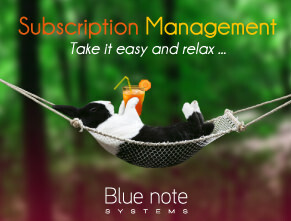 The whole Blue notes systems team wishes you a happy Christmas and a wonderful new year ! As we approach the end of another year, we wish you and your family a Merry Christmas and hope the new year in 2017 is full of success and happiness. To start off this coming year with a bang , we offer several special promotions related to your CRM. For many years now, we have dedicated a part of our annual budget towards a good deed. Blue note systems choses to endorse La Chaine de l’Espoir, a french organization without any religious,political or governmental ties,centered on/focused on helping children. Within this framework of action, we are backing up one of the organisation's projects dedicated to health and education. Moreover, Blue notes systems has made a commitment to the environment by standing alongside Reforest' Action which has recently come up with an environmental protection and social equity program in Haiti. Blue note systems choses to commit to this project towards reforestation in Haiti. The commitment in the fight against climate change and for the reduction of greenhouse gas emissions. Blue notes systems possesses a charter of sustainable development projects since 2006 and has been committed to projects of reforestation since 2015 (more than 2500 trees planted). The support to the local populations to improve their economic development and education standard.